The recently published 3D-footprint database contains an up-to-date repository of protein-DNA complexes of known structure that belong to different superfamilies and bind to DNA with distinct specificities. This repository can be scanned by means of sequence alignments in order to look for similar DNA-binding proteins, which might in turn recognize similar DNA motifs. Here we take the complete set of Homeobox proteins from Drosophila melanogaster and their preferred DNA motifs, which would fall in the largest 3D-footprint superfamily and were recently characterized by Noyes and collaborators, and annotate their interface residues. We then analyze the observed amino acid substitutions at equivalent interface positions and their effect on recognition. 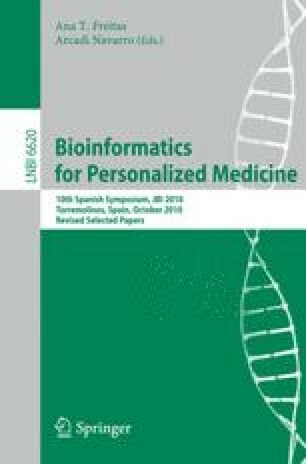 Finally we estimate to what extent interface similarity, computed over the set of residues which mediate DNA recognition, outperforms BLAST expectation values when deciding whether two aligned Homeobox proteins might bind to the same DNA motif.